PDR are pleased to reveal new a CGI image of Premier Place, Edgware. ‘We are thrilled that works are progressing on site with Network Homes who have worked closely with our delivery team to get this project over the line’ Paul Dransfield, Managing Director of PDR Construction. The development includes both residential and retail units, it sits on four blocks of apartments that range from 4 to 17 storeys in height with 76 car park spaces. This will bring much needed affordable living to the area. 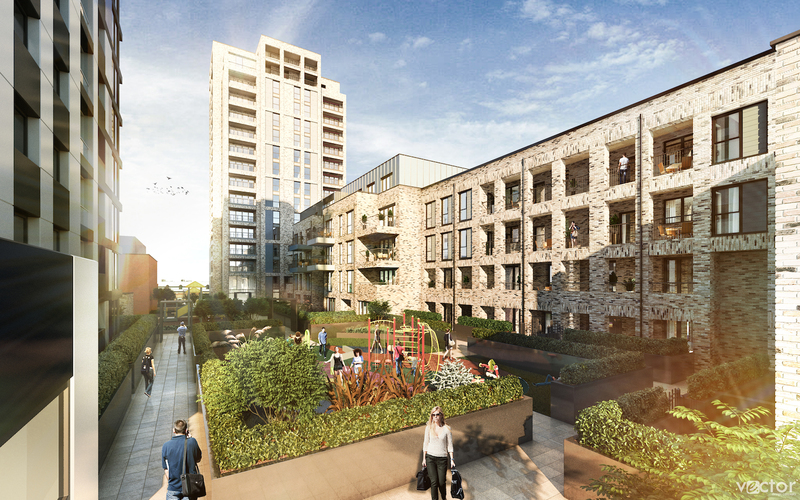 The 122 new residential dwellings are in walking distance to Edgware town centre which is part of the Mayor of London and the Greater London Authority’s (GLA) plan to develop 35 major town centres in London. PDR are delighted to be apart of this and deliver much needed affordable living in Edgware.